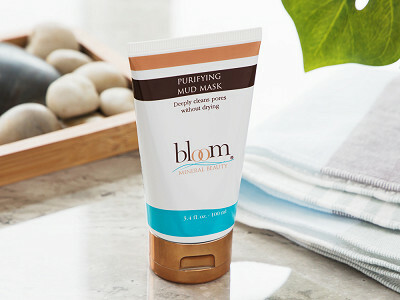 The team at Bloom Mineral Beauty in Jordan know the mud found in the nearby Dead Sea is packed with skin-pleasing goodness. So they let this natural ingredient shine in their Dead Sea mineral mud soap and face mask. The mud contains Dead Sea salt that’s long-believed to have anti-microbial and anti-inflammatory benefits. It’s also full of 26 minerals, nutrients, and vitamins like sodium, potassium, magnesium, and vitamins C and E—so it’s no wonder that the mud is sought after to cleanse and soften skin. 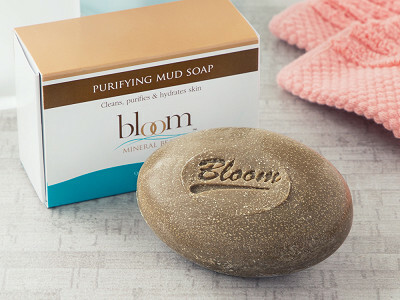 Bloom Mineral Beauty keeps things simple by adding only a handful of other natural ingredients to their mud soap and mud mask, like olive oil, honey, and aloe vera. 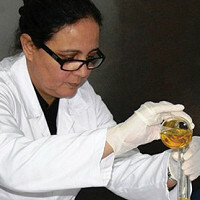 Lead by Founder Elham Zeadat, they’ve been harnessing this good-for-you mud for over twenty years. What are some of the minerals in the Dead Sea Mud that provide the skin care benefits? Why are they so effective? ​The Dead Sea Mud is high in minerals such as sodium, chloride, magnesium, potassium, bromine, iron, and calcium. It nourishes, hydrates, and detoxifies your skin. Research into these minerals from the Dead Sea mud have shown a 40% reduction in depth of wrinkling. ​Mud from the Dead Sea contains 26 minerals, nutrients, and vitamins. 12 of these minerals are found in no other sea or ocean and some are recognized for imparting a relaxed feeling and nourishing the skin. The presence of these minerals in the Dead Sea, combined with other nourishing ingredients found in these cleansers like aloe vera, honey, and high concentrations of Vitamin C and E provide hydration to skin while anti-microbial and anti-inflammatory benefits kill bacteria in pores helping to prevent breakouts and soothe. Shelf life for these products is three years.